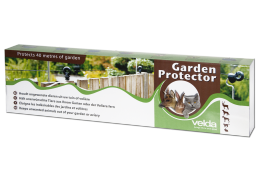 The Garden Protector protects your garden or aviary against unwanted intruders. 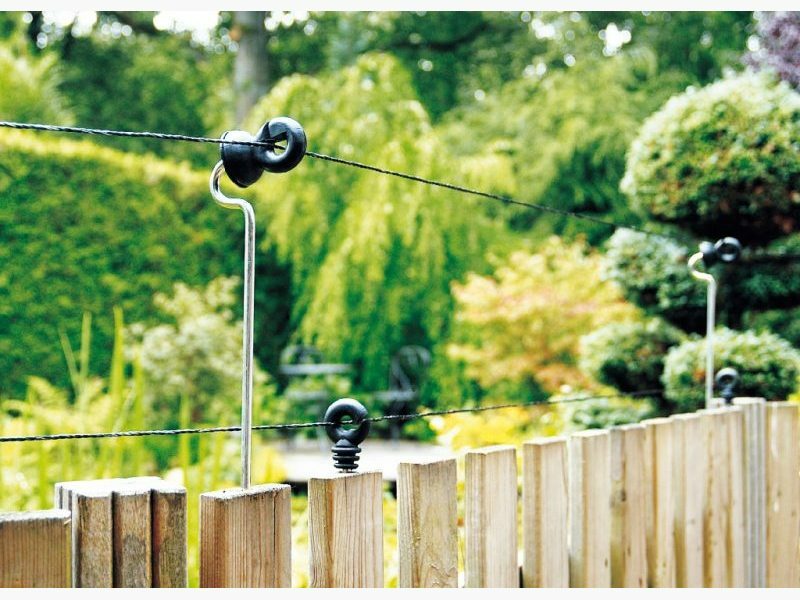 By stretching a harmless electric wire, you prevent cats, dogs, and other animals from entering your garden or aviary. 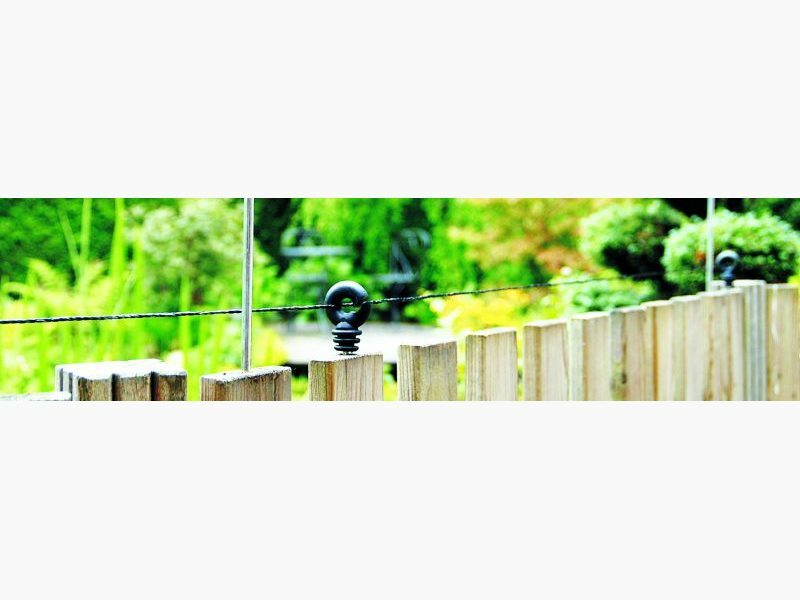 The transformer gives off a low (and harmless) electric pulse to the wire around your garden. 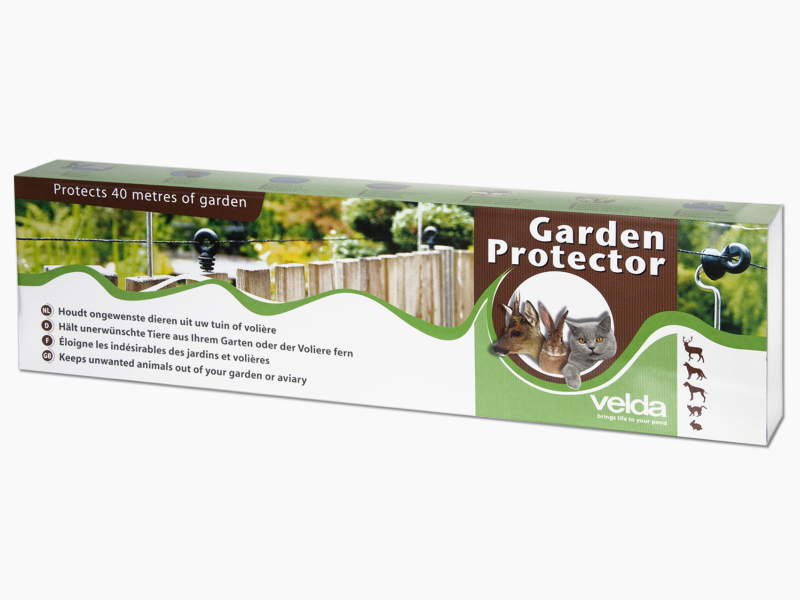 Touching the fences scares off unwanted animals, causing them to avoid your garden in the future. 1 transformer with cord and plug. 10 metal insulators 18.5 cm high. 10 screw insulators 3.5 cm high. 80 meters of electric (wire) fence. 5 meters pulse wire (red). 5 meters grounded wire (green). 1 metal grounded pin of 55 cm. 1 plastic sack with connectors and fastening screws.